Shop wholesale custom microfiber tote bags today to maximize your brand impact at the next promotional event and to make huge savings on your investment! If you want to buy a tote bag with a large imprint area, practicability and style, these customized microfiber bags are the best. Available in best bulk prices, you can easily remain within your allotted budget. 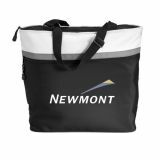 Great for business gifts and individual recognitions alike, these customized tote bags are perfect for any occasion. 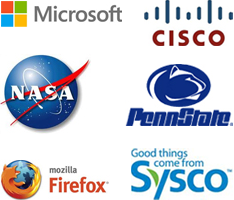 Our prices include unlimited digital design proofs, shipping and typesetting assistance. 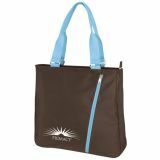 At ProImprint.com, custom microfiber tote bags are available in great styles, colors and prices that everyone will love. 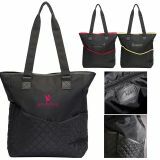 These discount microfiber tote bags appeal with their user-friendly designs and getting popular with fashion conscious women or working women carrying them to work places, shopping trips, grocery stores or employing them as fashion accessories. Customized microfiber tote bags exude sophistication and softness, which makes them popular gift choice for fashion houses, cosmetic businesses, luxury lifestyle brands, women-oriented businesses and many others alike. There are very few promotional items that provide such a big exposure at small prices as these promotional microfiber totes. At ProImprint, you will come across a vast selection of custom microfiber totes in a variety of styles, colors and prices for the benefit of big budget marketers as well as small to medium budget advertisers. These microfiber promotional totes are becoming substitute for expensive custom leather tote bags. Made of lightweight and high quality microfiber material, these custom tote bags are lightweight, partially water repellent, durable, and completed with a brilliant finish – all adding to its popularity. Although promotional leather totes are known for their sophistication and perfection, these microfiber totes come across as their cheaper versions. 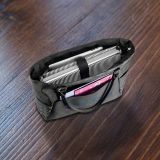 If you believed that investing in leather totes is impossible, we want to remind you that these promotional microfiber totes are still a good option for you. You can use the large imprint area over these customizable microfiber tote bags to present your brand logo, slogan, contact details or special business information for maximum impact. With various imprint options available to your convenience, you can easily screen-print, embroider or heat transfer your brand logo on most of these bags. If you wish to know more about price savings, color imprint options or anything else regarding these custom microfiber totes or any other custom gifts, feel free to converse with us at 844-776- 4677or write to us at info@proimprint.com.